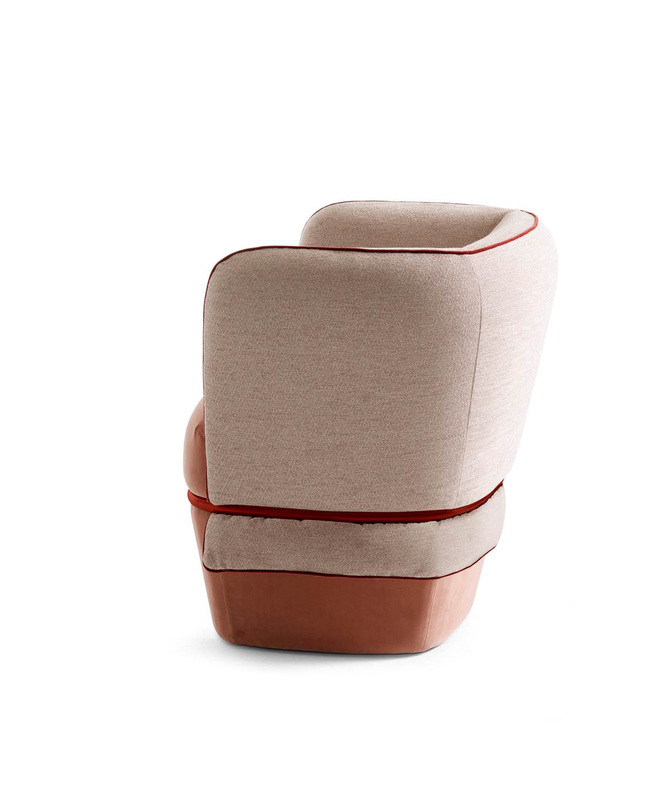 Chemise is an armchair with a double personality: a soft upholstered fabric wraps a solid structure. 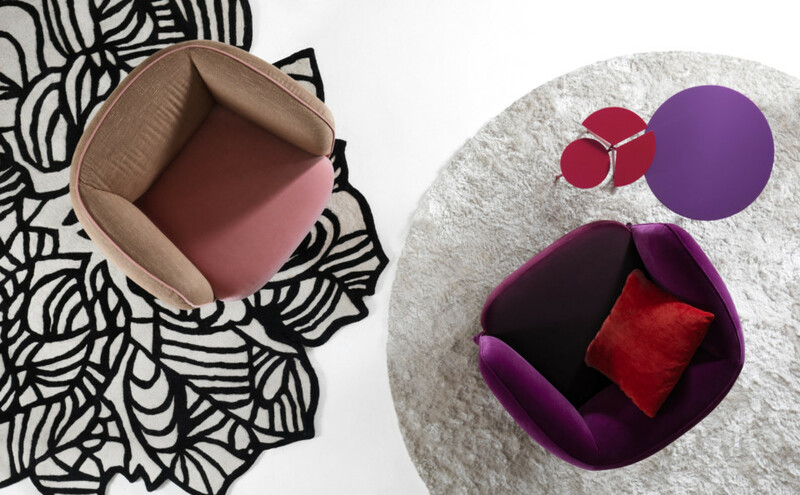 Austere with a strong aesthetic, the structure fits perfectly with the soft and cozy volumes of the cushions. 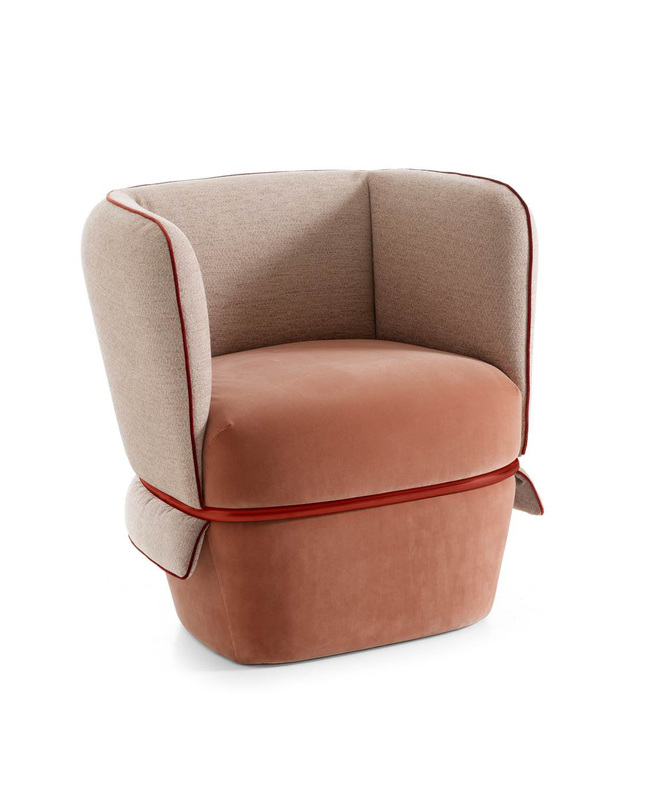 Like bones and flesh, structure and upholstery blend together in this armchair characterised by gentle forms. 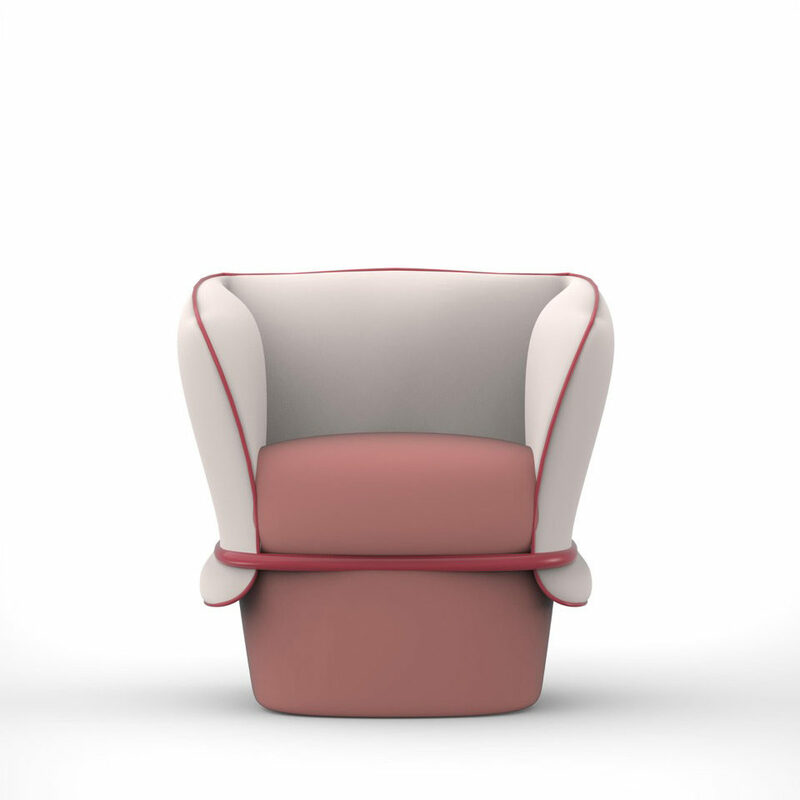 It creates a rhythm by alternating undefined fabric shapes with a rigid metal tube structure.